After taking over an 0-8 record, Noble fought back and earned a Playoff spot in grand fashion. This past weekend Noble competed in the MLG Season Three Playoffs after having to fight their way up from the bottom of the standings in the regular season of the league. When Season 3 began, Elevate held a spot in the league and immediately lost their first eight matches with the roster of Sender, Chino, Nifty, and Gucci. The owner of Elevate decided to sell the team’s spot due to various issues with the team. Noble sought the opportunity to buy the spot and partner with Vanquish Gaming to put together a final roster of Sender, Slasher, Miyagi, and Chino. Since taking over last place in the standings, Noble played impeccably well to fight their way into the playoffs. 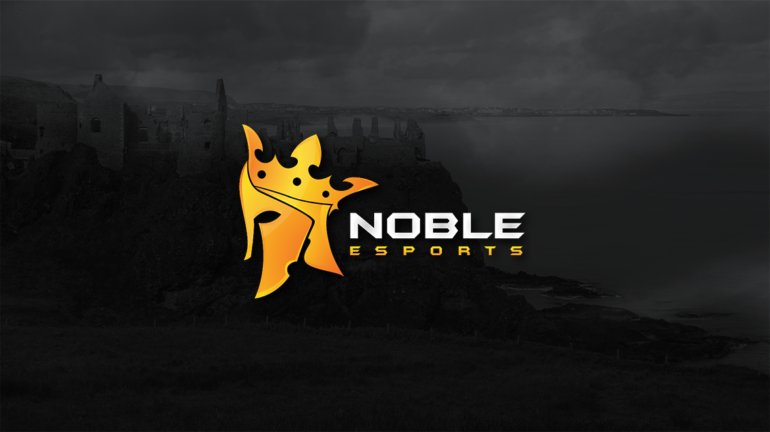 “Knowing that we would have all eyes on us, we were more than happy to take [Elevate’s] spot and prove everyone wrong,” said Jeremy “Lambzy” McLamb, the COO at Noble eSports. Things turned around quickly for Noble, who won their first two games in the league. There win streak did not end up being a fluke, as they would go on to fight their way back from the 0-8 deficit to qualify for the playoffs. “We didn’t think we could make it, but after going 2-0 our first day we knew we could keep it up,” said Miyagi. Noble now faced their next daunting challenge, the playoffs. Miyagi had his goals set high saying his plans were to win the event and also win the first Advanced Warfare event. They faced a tough road as they had to beat seven other teams to be able to hoist the trophy on Sunday afternoon. They started off the weekend playing Rise Nation. In the weeks entering, neither of these teams were looked upon as favorites to win the event, but nevertheless, Noble took the win, moving on to round two. Arguably a slightly more challenging matchup against Denial eSports sat in the way of Noble’s spot in Winners Round Three. Denial had recently placed well at LAN events but Noble had no problem getting through them and securing a spot in round three. – Check out the [Day 2 Recap Article](http://esports-nation.com/news/mlg-season-3-playoffs-day-2-recap/) for a recap of that series. Their next matchup was even tougher, as Noble found themselves pitted against Gfinity 3 champions, Team EnVyus. This is where Noble’s winners bracket run came to an end and they fell to the losers bracket. – You can find the recap of the match [Here](http://esports-nation.com/news/mlg-season-3-playoffs-day-3-recap/). In the Losers Bracket Finals, Noble was up against Most Wanted, who had been knocked down by Envy in Round 1 of the tournament. The series went all the way to the last round of the final map, which included a highly controversial play to end the series. Noble still pulled out the win and secured their top two finish and spot in the grand finals. – The recap to that series can be found [here](http://esports-nation.com/news/mlg-season-3-playoffs-day-3-recap/) as well. Team EnVyUs, the team that sent them to the losers bracket earlier in the day, was the only thing standing in their way from making one of the greatest comeback stories in the history of CoD eSports. Unfortunately the match didn’t go as planned for Noble who lost in a 3-0 sweep to Envy, and finished a solid second place. Came back from being 0-8 in the league to Top 8 then place 2nd at Playoffs. Nobody expected Noble to play as well as they did throughout the season and especially at the Playoff tournament in Columbus. They used a combination of teamwork, chemistry, hype, and pure skill to complete one of the best runs for a team during Call of Duty Ghosts’ tenure. You can expect the same intensity out of the players heading into Advanced Warfare. Despite coming up short in the last series, they should be extremely proud of themselves and everything they’ve accomplished.